A fourth-month-old baby born in the UK to parents who have indefinite leave to remain in the country was denied entry upon the family's return from holiday. Instead, the baby was given a six-month tourist visa. "An incredibly unwelcome entry to the UK today, as I was informed my 15-week-old London-born baby does not have the right to reside in the UK despite a Norwegian mother and a father with Indefinite Leave. That's not what anyone should expect when returning home," Charles Kriel, tweeted on Thursday. "She was given a six-month tourist stamp. If the UK wants to lose its best people, it should just keep doing what it's doing," he added. 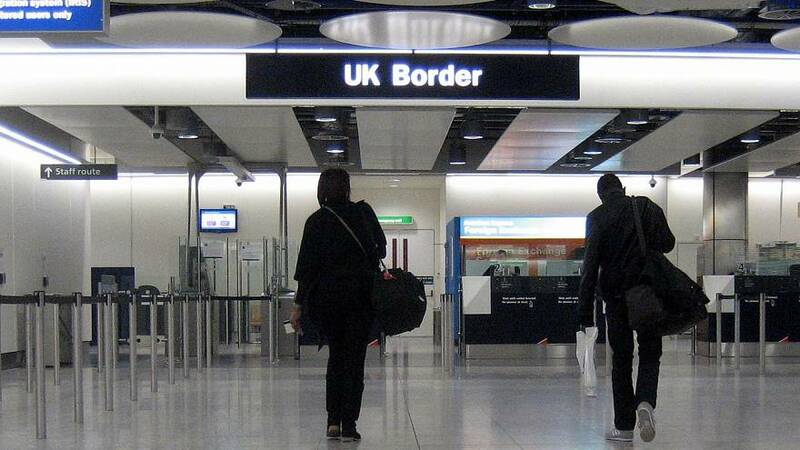 Kriel, who works as a special adviser to one of the British parliament's select committees, has lived in the UK for 20 years and has Indefinite Leave to remain in the country. His partner, Katharina Viken, is a Norwegian national who has been residing in Britain for a decade. Although not a European Union member state, Norway is part of the European Economic Area which grants its members many of the same rights including freedom of movement. Additionally, Bronwen Jones, a lawyer specialised in asylum, immigration and children family law, explained on Twitter that a baby born in the UK to a parent with Indefinite Leave to Remain in the country is British at the time of birth as per the British Nationality Act in 1981. "All you need is a birth certificate, proof of parenthood, and proof of being settled at the time of birth. In this situation, the child is a citizen automatically," she went on, adding: "They didn't need a visa for the baby, and in fact would have no grounds for obtaining one." Human rights lawyer Shoaib Khan told Euronews that it is "hard to see the legal justification for this decision." "It is just part of Home Office culture to try to make lives as difficult as possible for anyone without a British passport. "With people continuing to be made to needlessly suffer like this, it is no surprise that EEA nationals do not trust this government with their and their families' future. "The Home Secretary should apologise to this family and finally put an end to the open hostility towards any individual who dares to be in this country without a British passport," he added. The Home Office said in a statement: "We do not routinely comment on dividual cases."